This is an idea my late father Tiga Bayles shared with people across the country. Mob around Australia have marked the last day of balance and harmony on the 25th January, with events in their local communities. 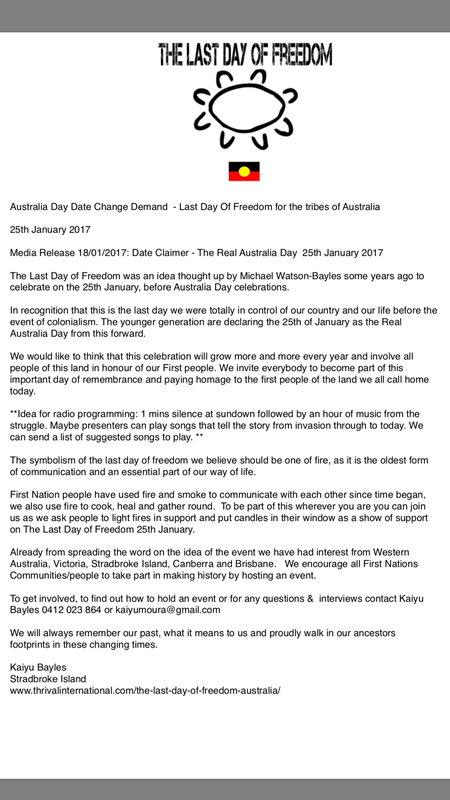 Marianne Headland Mackay was an organiser of “The Last Day Of Freedom” celebration on Matagarup Heirisson Island, Perth back in 2013. We thank all the mob who have gotten on board with local events so far, we hope we can grow more grassroots events and light more fires to remember those we’ve lost and the pain that remains. 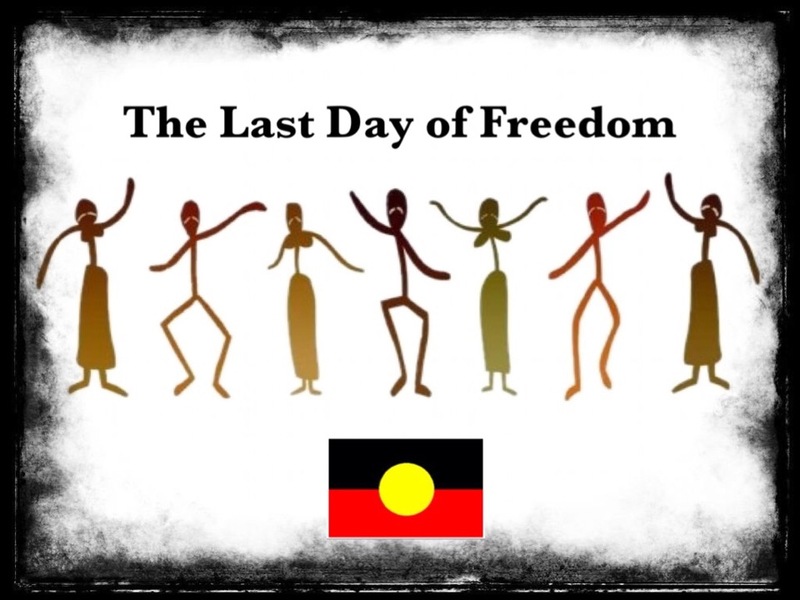 A time for smoking and whaling, sharing yarns, song and food around the fire to heal the hurts and pay respect to those we’ve lost along the way. Few mobs are doing them after dad telling them bout the idea, be good to get this happening as a way to wake the world up to the suffering of our people in a very real way. Keep an eye on out for a national event calendar, we’ll try keep track of the events around the country. Tricky, not sure where the old fulla planted the seed but I want to keep watering it with all u mobs help. Any help organising would be appreciated, we need to email artist asking them to support local events if mob are happy. Imagine what our people would have been doing, the peace and quiet and the balance and the harmony. The ancient practices and the contentment we would have known with abundance all round. Plenty of fish, seafood, bushfood to sustain us and keep us thriving. Imagine now the boats arriving, the dispossession of land, the deaths, the sickness, the suffering, the cattle wiping out ancient food sources, fish traps,m and sacred places, the fighting, the removal of children and tribes, the violence and exploitation, the longing for country and the old ways ways. 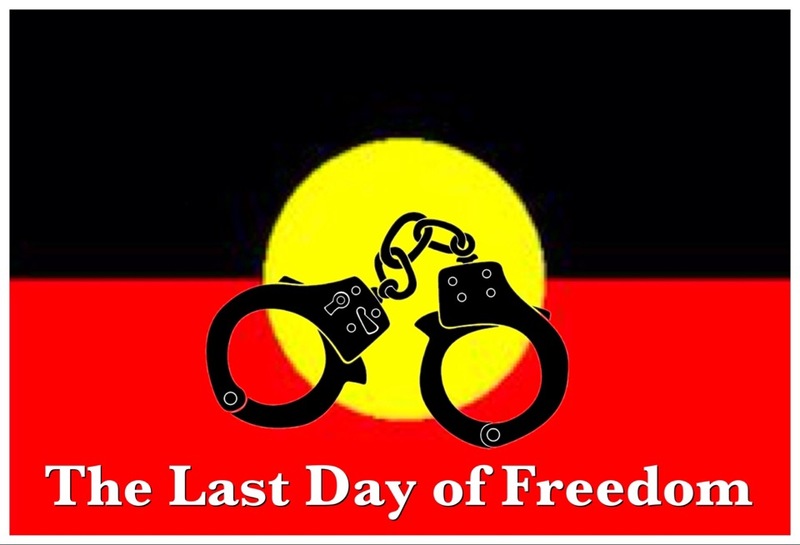 This day is important for us to remember and acknowledge if we are to heal past hurts in this land. We invite the community to join with us to reflect on the sorrow of what happend on the 26th January 1788, to feel the peace that was felt on the day before invasion and to celebrate with us – we have survived all of this. 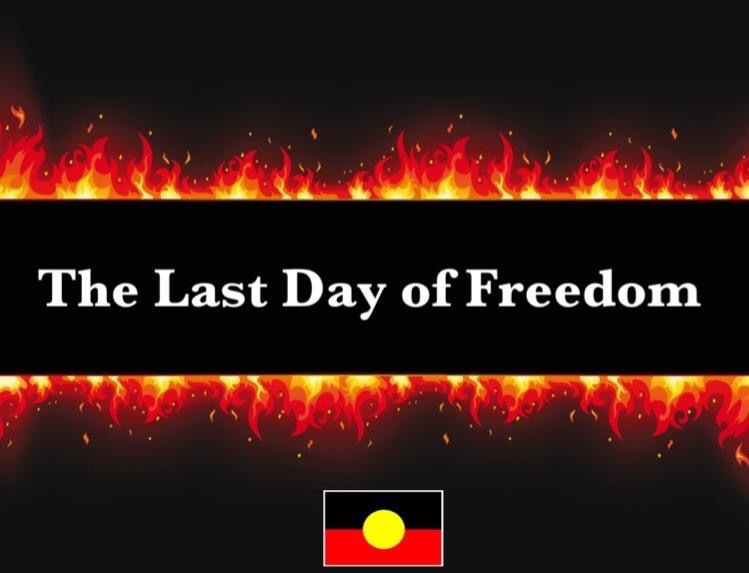 People will have an opportunity to tell their stories about the pain of this day and all of Australia have a chance to snap out of their programmed mind state, simply by us marking this day and making an annual event of it. We feel this is a way to get education happening fast on mass scale, when they feel our pain they will understand us better. That’s why we feel dad wanted to make this happen, have them join in our mourning. Australia as a whole will be educated about our history faster this way than any other way thought of. If your community would like to hold an event this January the 25th to mark the Last day of Freedom, we can help make it simple. Mob have my blessing to run with dads idea to make this event a reality in as many towns and communities as we can. This year to get started maybe light a fire or candle even on sundown wherever u are to remember the last day of freedom for so many, how beautiful this land was and how beofuful this country can be again. Please email us at: kaiyumoura@gmail.com if you need any assistance, have questions or would like your event advertised here on our national calendar.